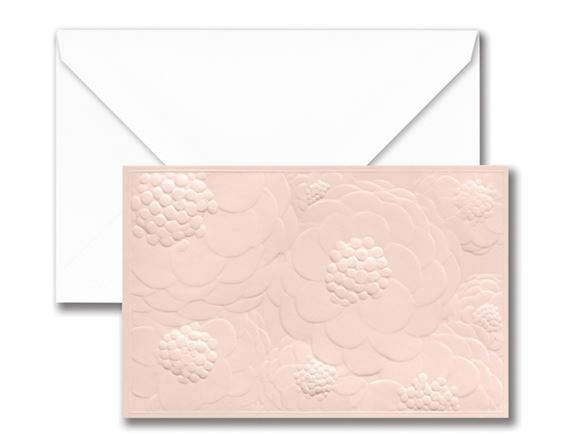 Order your Crane Vera Wang Blush Zinnia Embossed Notes today from FahrneysPens.com. Fine Pens, Refills & Luxurious Gifts – great prices & fast shipping. Embossed on heavy-weight blush paper, this note is both tactile and romantic. A smart choice for words after a garden wedding or springtime brunch alike.